It’s official. The Canadian federal government has begun the process of ramping up for the deployment of Canada’s first electronic passport – also known as the biometric passport or ePassport. 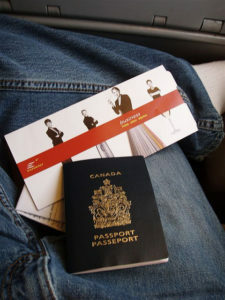 The plan is to have the new Canadian passports in circulation – widely regarded as more secure and using almost impossible to reproduce biometric technology – by mid 2012. What are the main defining differences between the current Canadian passport and the new one yet to be introduced? The biometric chip – your identity in a microchip. Also referred to as a the “proximity contactless chip”. The chip will be embedded into the passport page, and can only be read by a chip reader within 10 cm of scanning. The chip will contain your name, date of birth, and a digital version of the photo used on the physical page. Customs officials will match the information on the chip with what is physically stated on the passport page. Initially there had been some talk about the passport chips containing iris scans and/or fingerprint information on passport holders, however after an issue having been raised concerning privacy with the Canadian Privacy Commissioner, it looks as though the only information that the new passport chips will contain will be a photo and your identity essentials. Although not official yet, it is widely speculated that the new ePassport will have a vailidity of 10 years versus the standard 5 years currently. Canada will be the world’s 9th largest issuer of electronic passports by 2014 once the system has been up and running for 2 years. Passport Canada is still surveying the public for information on the new program, and it is anticipated there will be a tabling with Parliament on the results of the surveys by early next year. We’d love to hear your thoughts or comments. Comment or contact us.